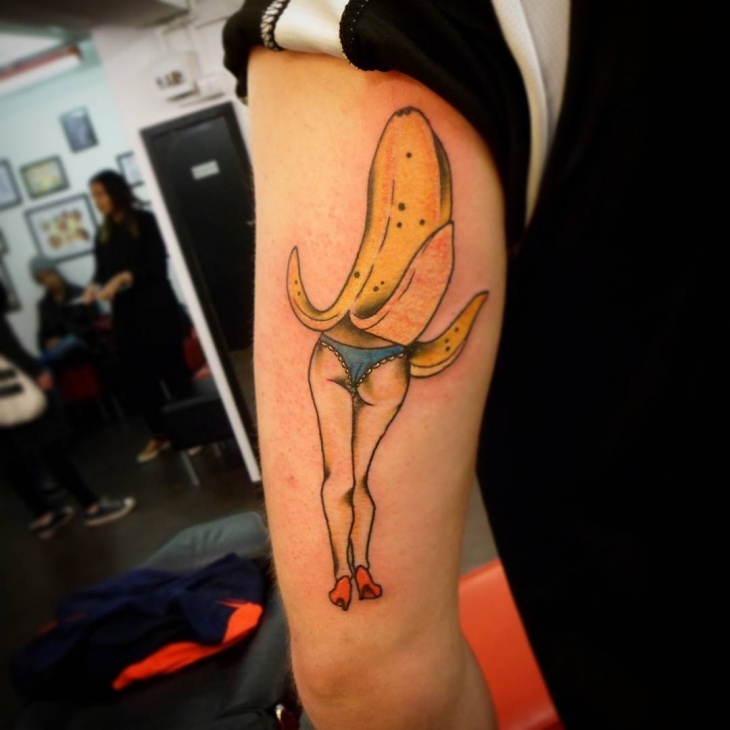 Tattoos don’t always have to be meaningful; sometimes they can just be fun and frisky. Meaningful or not, funky or not, as long as you get them right you get the attention. 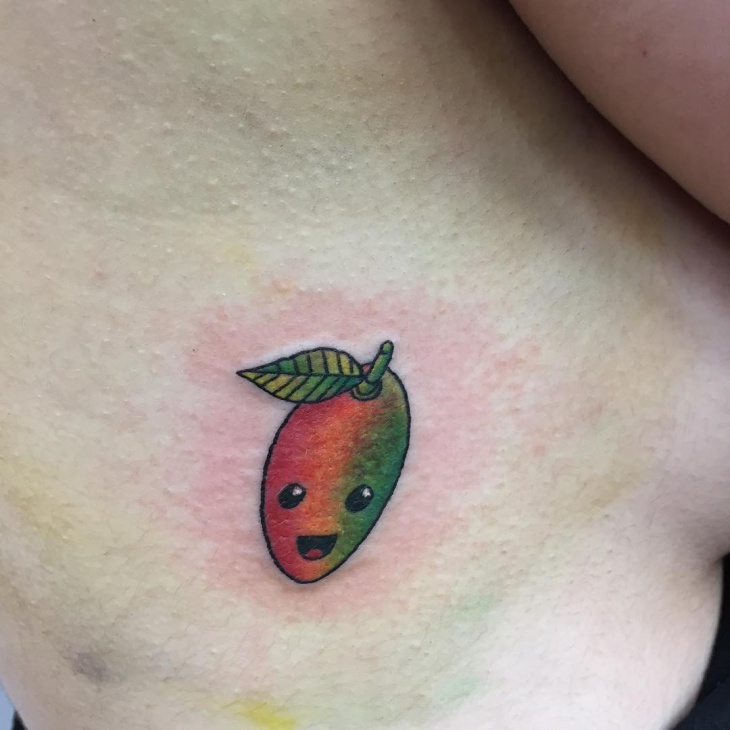 Talking about funky, we went through social media to find different fruit tattoo designs as we thought it would be an interesting idea. 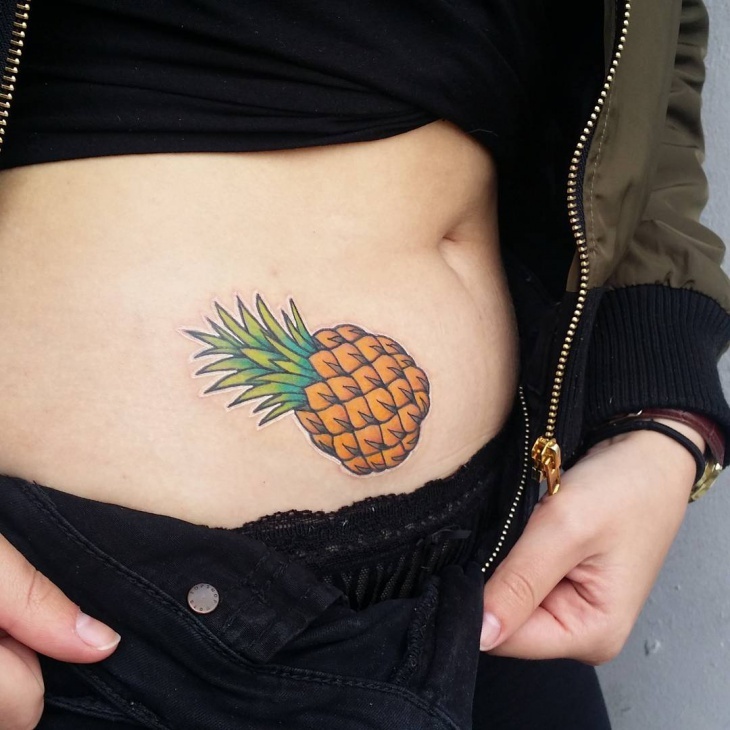 So, here we are with 10 different ideas that you could consider if you are planning to get a tattoo. Pineapples have always been a very bright-colored fruit that catches your attention from a distance because of its interesting detailing. 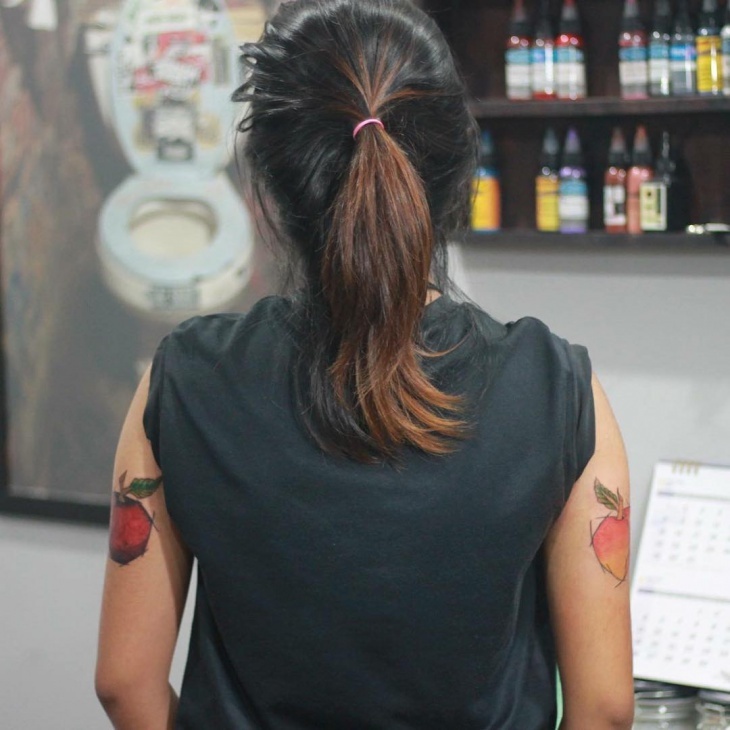 This tattoo looks quite real and the design is done with fine detailing. This is quite a funky and interesting design to get done on your sleeves. It gives out a very beach-like, relaxing feeling. 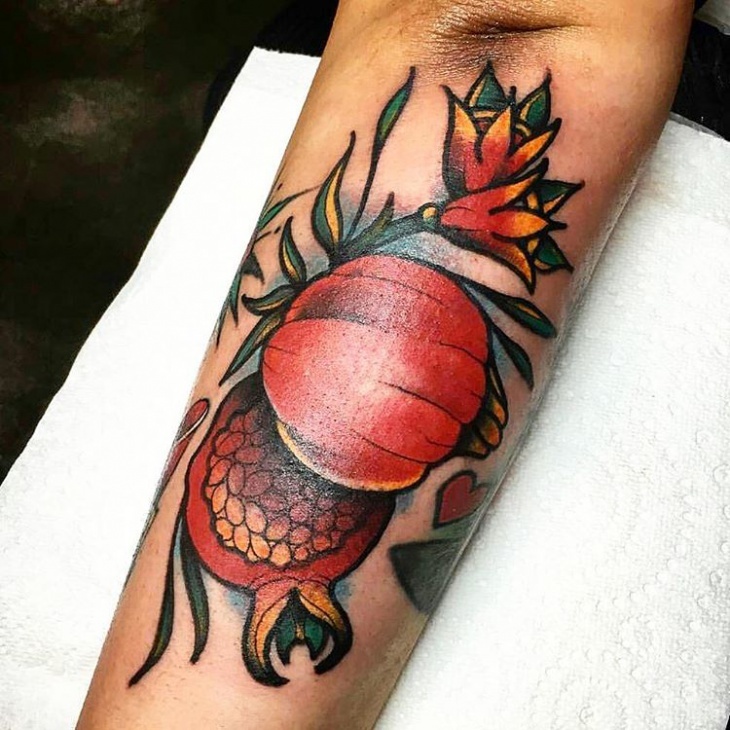 The color orange is just spectacular and hence we love this tattoo and think it gives out a holiday vibe. 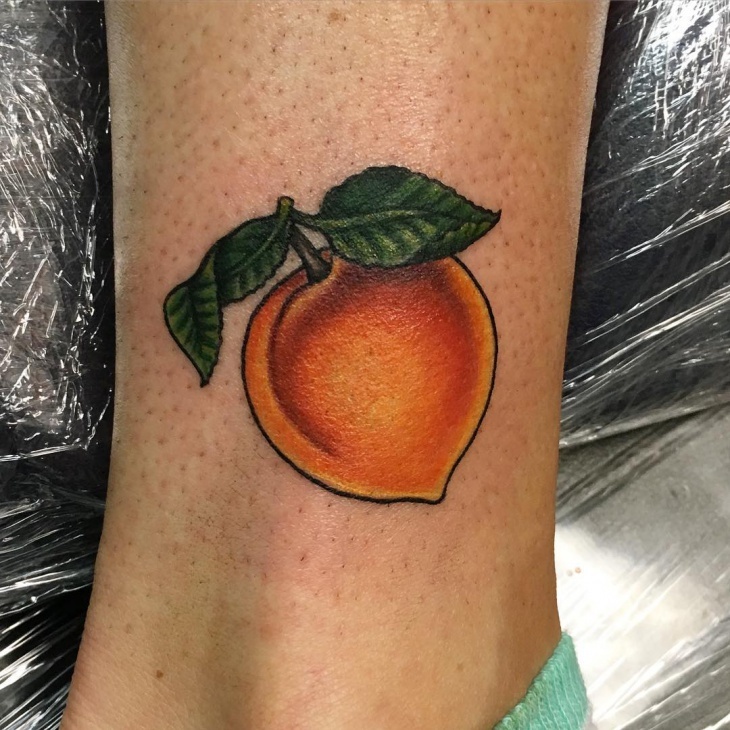 The orange tattoo is beautiful to get done on your leg also mainly because of its color, it is bright and will catch people’s attention undoubtedly. Also, if you get it done just like in the picture it will look very cute and adorable. 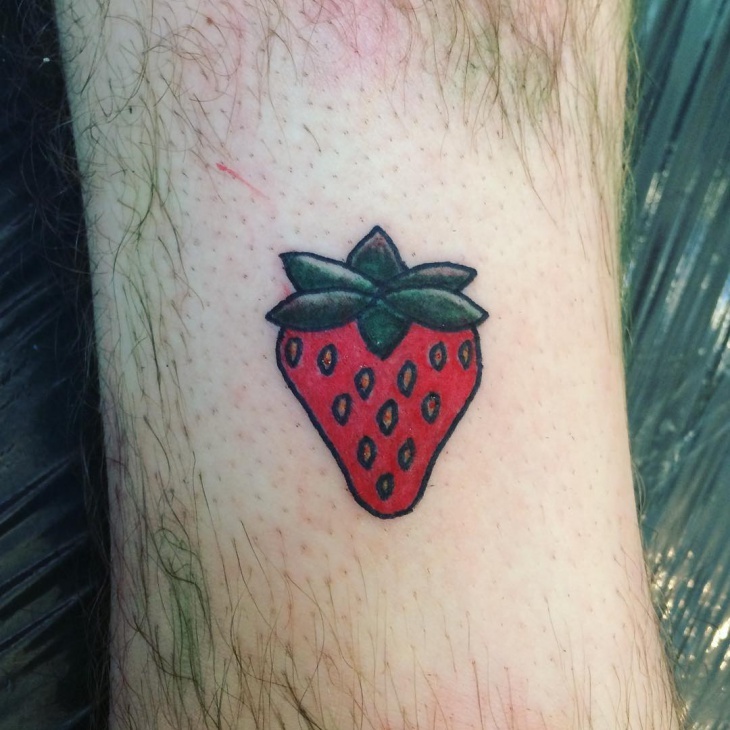 This tattoo is small and looks very appealing. If you are someone who doesn’t want it to be too big then this is perfect for you. Like they say, smaller the better. 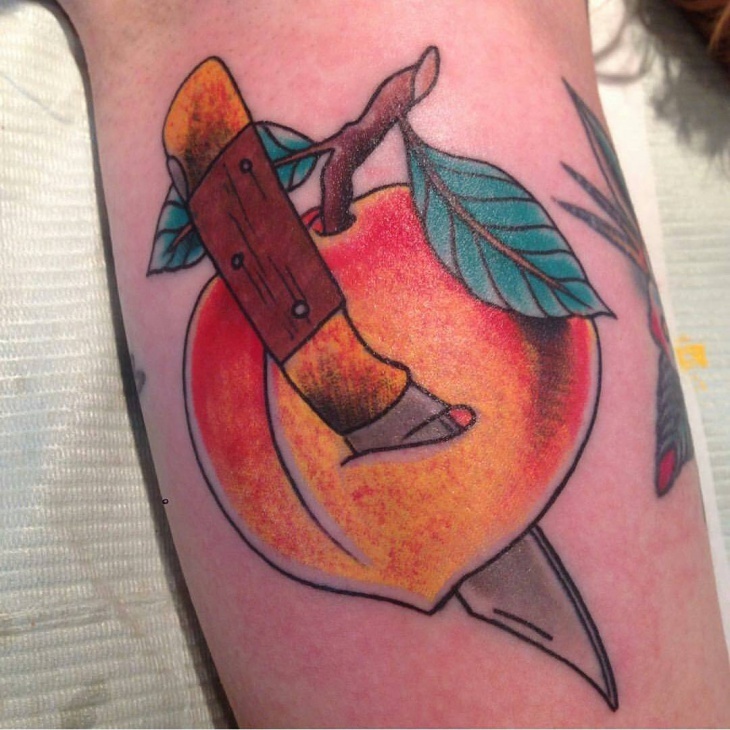 This juicy fruit design tattoo idea is very cute. Apart from that, the colors are done to perfection. We love how simple it is and the placement of the tattoo is just perfect. 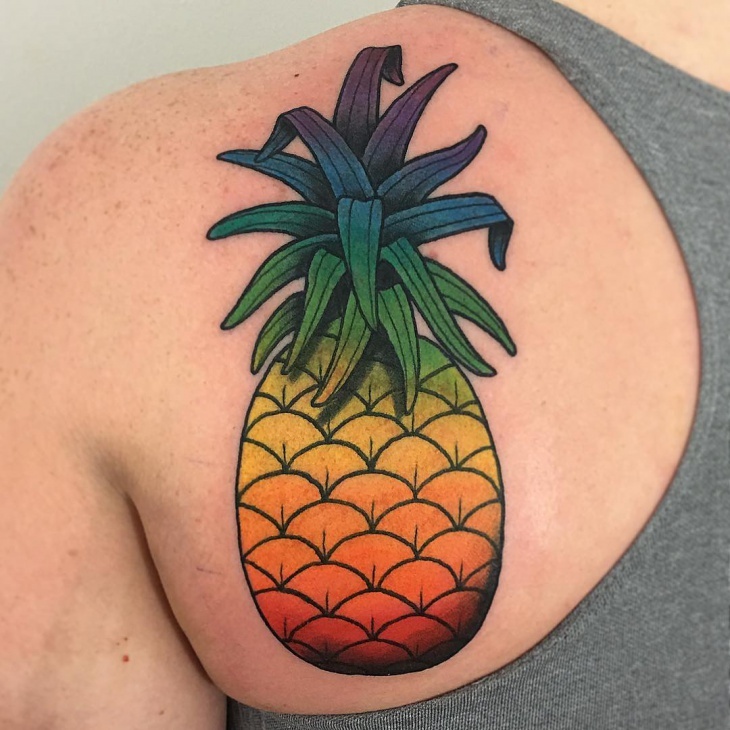 You love the tattoo more when you see colors and the whole concept behind it. 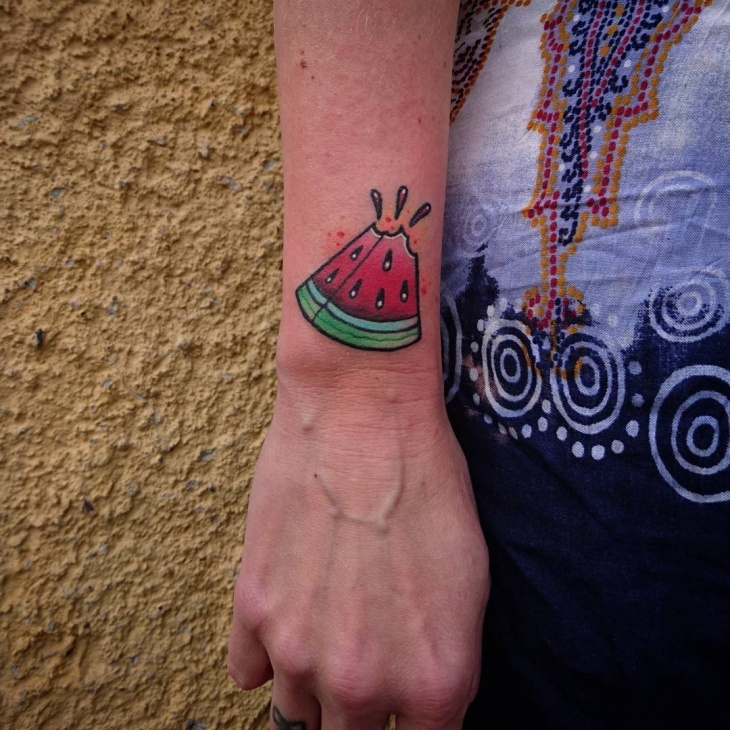 In this case, the half eaten watermelon with seeds tattoo look and blend in so perfectly. 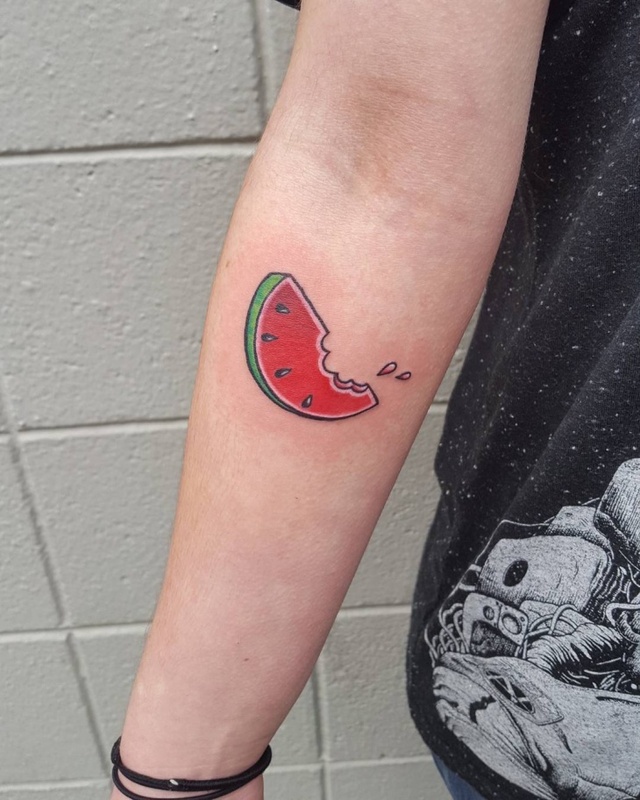 For someone who loves watermelon, this design is perfect and it will keep reminding you of the fruit every season. 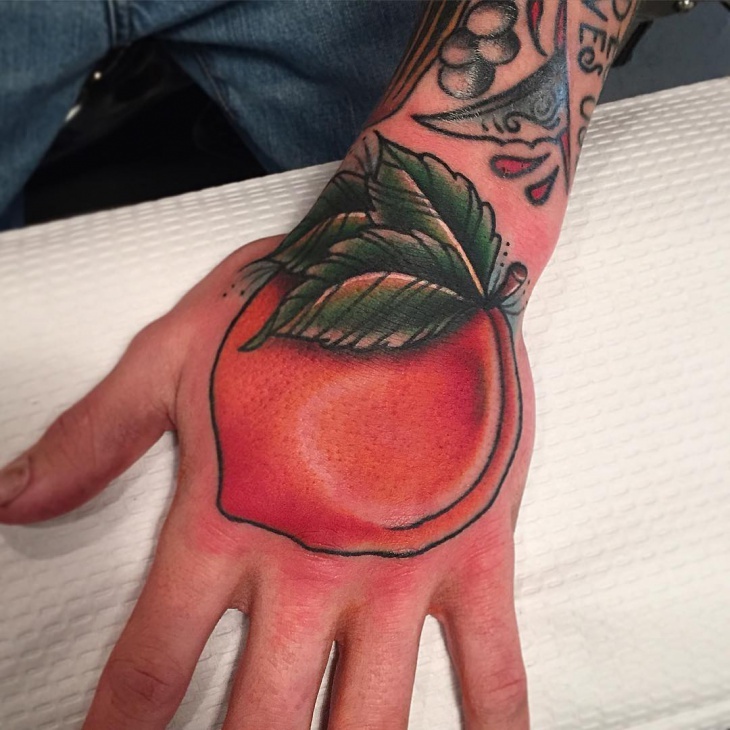 This tattoo pretty much occupies your entire hand. Starting from your palm where there is the big peach. Peach not only pleases the taste buds but also the eyes. 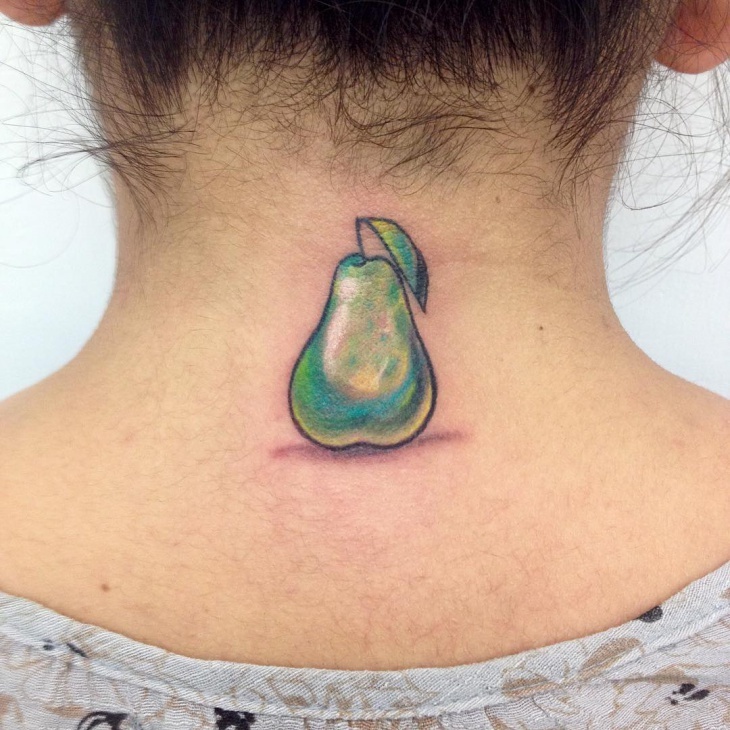 If you notice carefully, the shading provides a very realistic look to the tattoo. 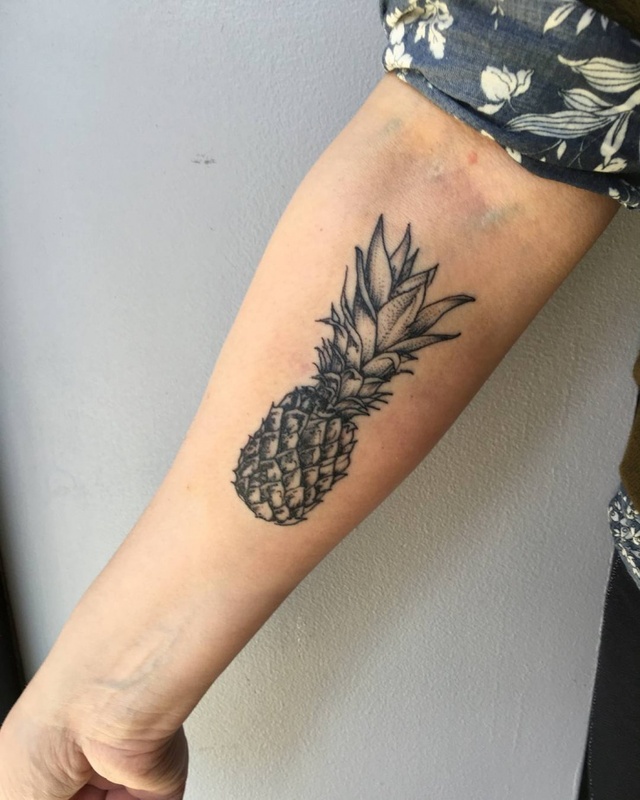 This Pineapple tattoo done near the arm looks very neat and elegant. It is a plain black sketch with minimal shading done to it. We like how it looks overall and think that this will definitely grab a lot of attention. 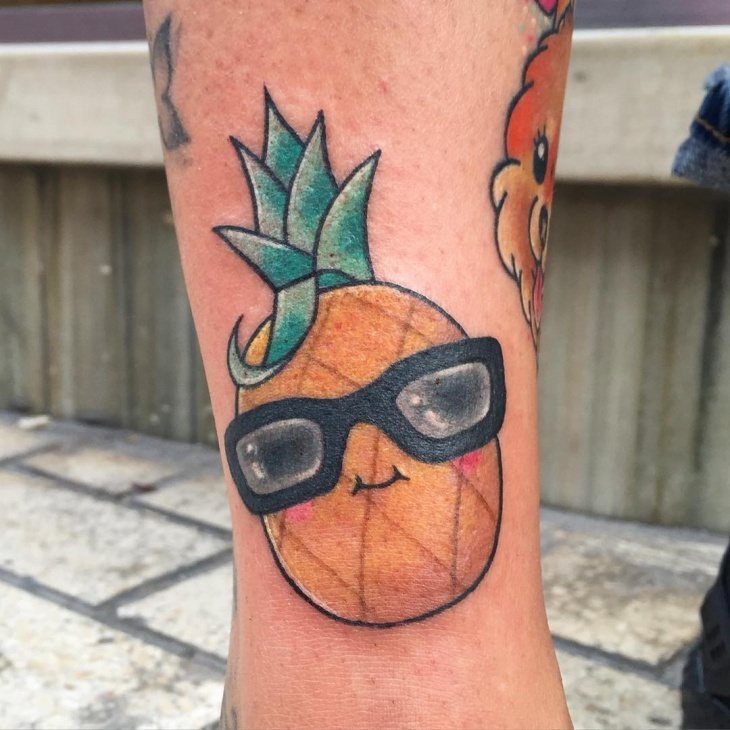 Well, all the ladies out there, it is time to pull back your hair and tie it in a knot if you are planning to get a cute tattoo like this one. 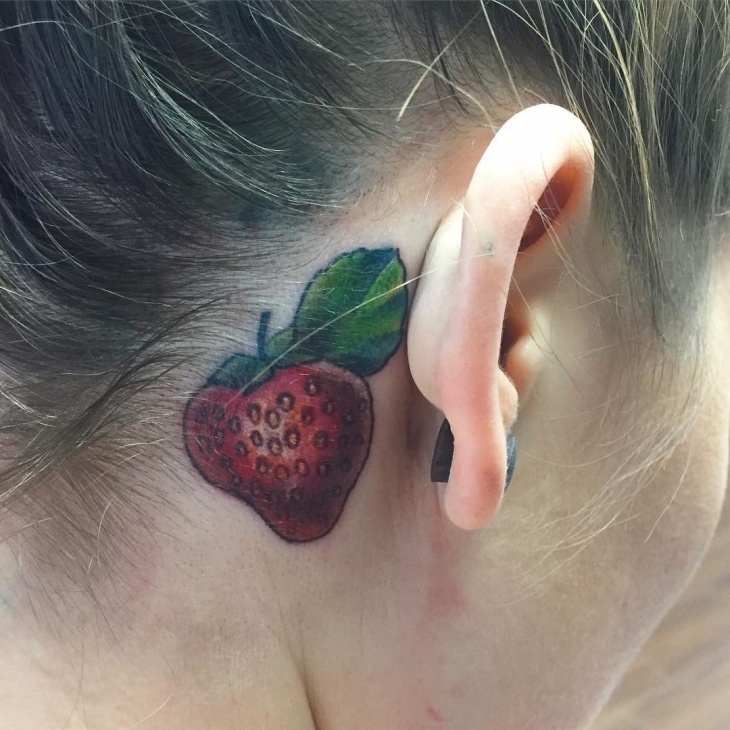 This strawberry designed tattoo is very adorable and the placement of the tattoo is something that can grab attention. 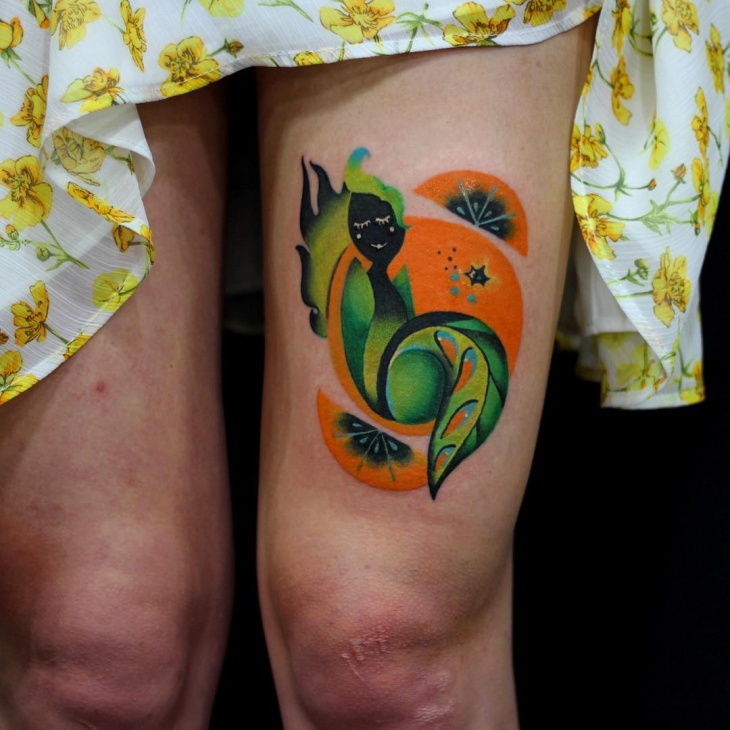 The tattoo is done in a way that it is very visually appealing. This design looks very beautiful to look at. 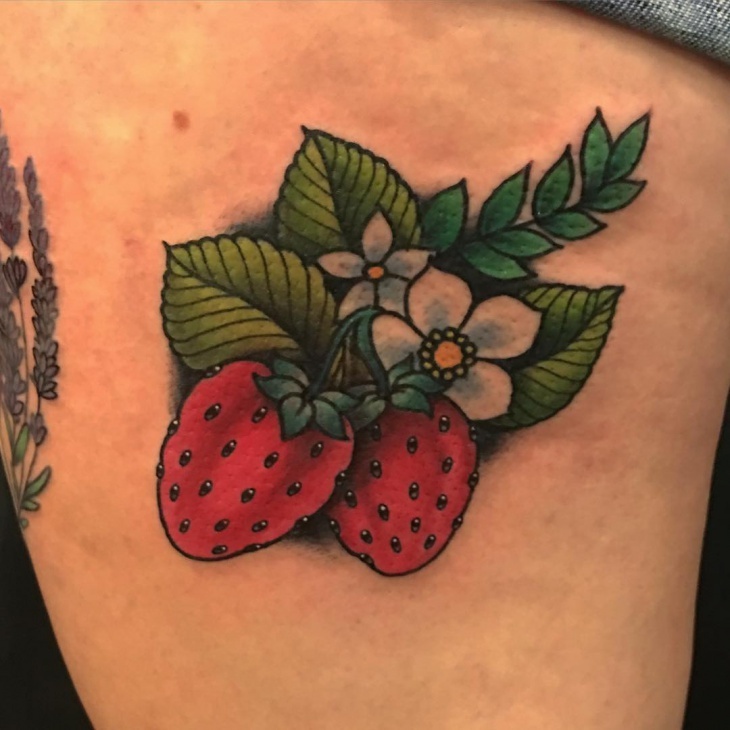 Most importantly we love the intricate work done on each leaf and the strawberry itself. We absolutely love this and would recommend it to anyone who is planning on getting something to do with strawberries. 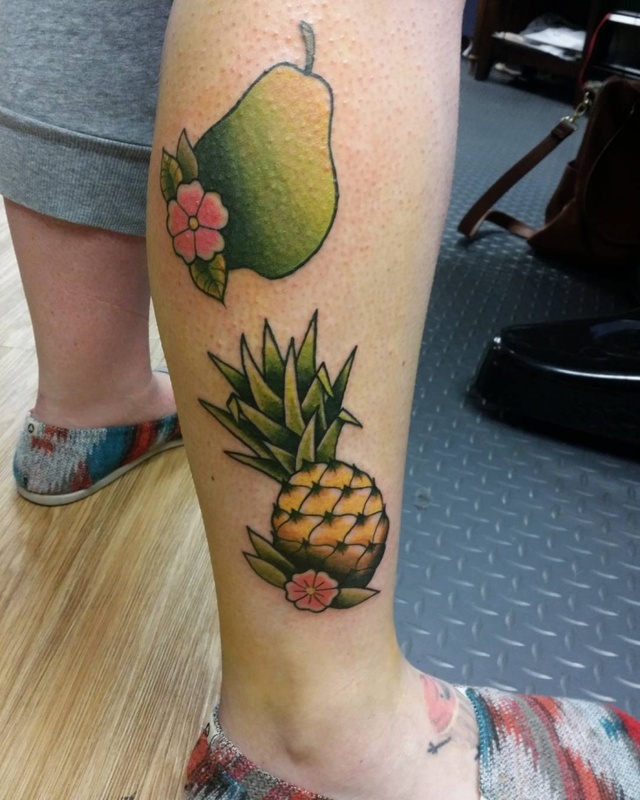 These are some of the funky at the same time splendid tattoo designs. 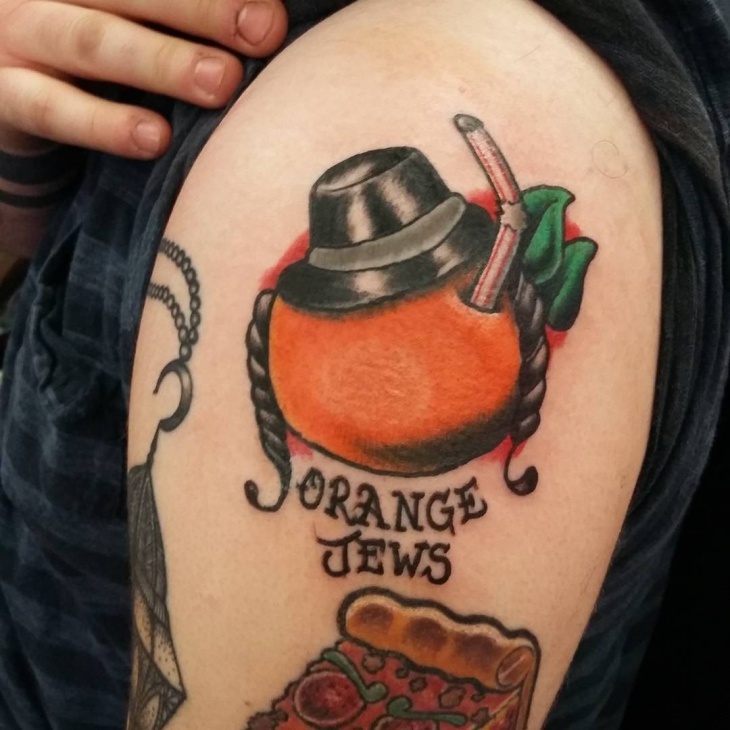 If you want to get some different tattoos, here is your chance and multiple options.